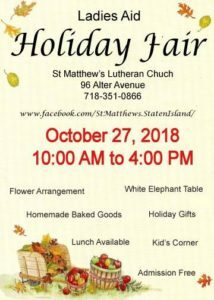 100th Anniversary | Welcome to St. Matthew’s Lutheran Church on Staten Island, New York. 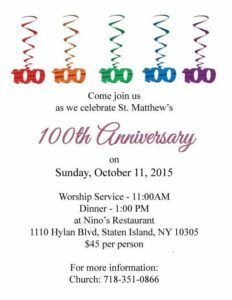 St. Matthew’s Lutheran Church had celebrated their 100th Anniversary on October 11, 2015. After service, we gathered at Nino’s Restaurant on Staten Island to celebrate with friends and family.